Finished size: 84" long (214 cm) tube. Row 4: k1, * (k5, wrap, turn, p5, wrap, turn) 3 times, k 5, slip the next st to the right needle, with the tip of the left needle pick up all wraps and place them to the right needle, return all 4 sts (1 st + 3 wraps) to the left needle and knit them together, k4; repeat from *, end k1. Row 8: k 6, rep from * of row 4; end k1 with picking up all wraps. Work the pattern to desired length. Sew the long sides together. 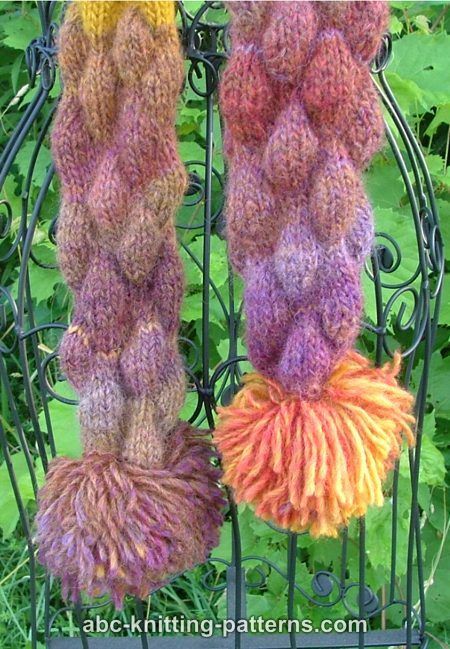 Make 2 pom-poms with diameter 4"-5" and sew to both ends. 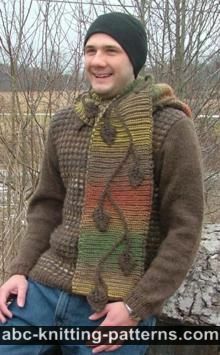 I tried to make this scarf and got stuck on the part where you have to pick up all wraps. 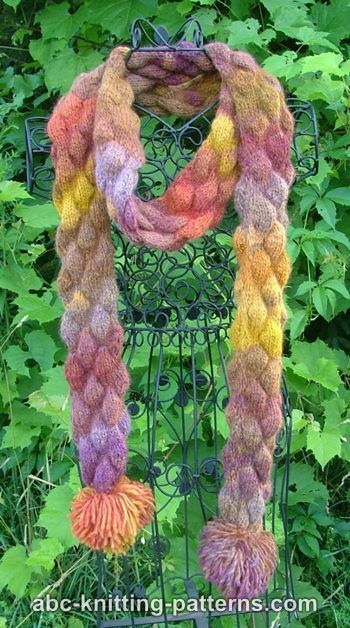 Is there a video of this whole scarf and not just the wrap and turn method? 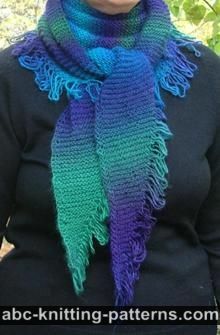 I made this scarf and it turned out beautiful. Give it a try. I don't understand when they say to pick up all wraps and place them on the right needle, transfer them back to the left needle and knit them together. Would you be able to help me with this? thank you in advance for any help you can give me. Is there somewhere to find the wrap method written out. I have watched the video and just don't get it. Thank you. 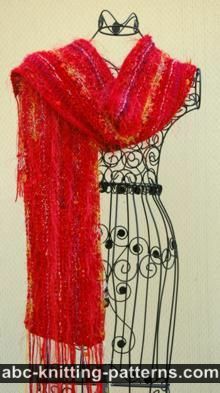 What a lovely scarf! It is very different from any I've seen. I'm definitely making this one for myself. Thank you so much for sharing.